A 24-year-old man has appeared in court accused of assaulting three women and exposing himself. Christopher Kennedy, of Drummard Park, is charged with common assault, criminal damage and committing an act of a lewd, obscene and disgusting nature on September 5. Derry Magistrate’s Court heard allegations Kennedy dragged his girlfriend from her mother’s house and took her to a nearby field. 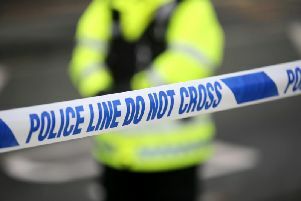 Her mother phoned the police and claimed she saw the 24-year-old punch her daughter about the face and pull his trousers down and expose himself. Police attended the scene and found Kennedy and the alleged injured party behind a tree. It is alleged the woman had swelling to her cheek and a scrape on her face but she refused to give details of what had happened. Two other women reported they had been assaulted by Kennedy, including his girlfriend’s mother. She claimed the defendant had grabbed her by the hair and pulled her to the ground, before smashing a number of picture frames. The second woman alleged Kennedy had punched her to the side of the face and broke her TV. Kennedy was arrested and it is alleged he shouted at his girlfriend ‘look what you have done to me. I will get you for this’. During police interview, the defendant denied the offences and claimed all the women were fighting with each other. An investigating officer said that the three witnesses had not provided police with statements about the alleged assaults. However, the officer added police were still opposed to bail. He told the court there was a history of domestic violence and Kennedy has served a prison sentence for assaulting his girlfriend. The officer also raised concerns about the proposed bail address which was a short distance away from the alleged injured party. Defence solicitor Seamus Quigley said the case was unlikely to lead to a ‘successful prosecution’ unless ‘something dramatic happens’ and the women gave statements to police. Kennedy was released on bail with a number of conditions until October 1.